Visa and the National Football League have teamed up to help students across the country learn financial concepts — with Financial Football. Students tackle financial questions like professionals in this fast-paced, quiz-style game divides classrooms into two teams that compete by answering finance-themed questions to earn yardage and score touchdowns. Financial athletes can also play the game on their cell phones. 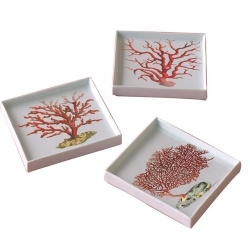 Hand painted red coral decorates these porcelain change trays. Choose from 3 designs. LCD display built into the lid. Recognizes the value of each U.S. coin. The part of the American dream that says a man's children will be better off than he was has become just that - a dream, not reality - according to an analysis of Census data released May 25. A generation ago, American men in their 30s had median annual incomes of about $40,000 compared with men of the same age who now make about $35,000 a year, adjusted for inflation. That's a 12.5 percent drop between 1974 and 2004, according to data from the Pew Charitable Trusts' Economic Mobility Project. Household incomes did rise during the same period, although the main reason is that there are more full-time working women, a new report on the project said. While income is not the only measure of economic mobility, the findings challenge the historical presumption that each successive generation will be wealthier, said John E. Morton, the report's co-author. For the full story from the Associated Press, click here. For the first time ever, the U.S. Mint is dedicating a series of 24-karat gold coins to former presidents' better halves, their First Ladies. They'll be available around Mother's Day at www.usmint.gov. The designs for the four coins were unveiled before an 80-person audience at the National First Ladies' Library in Canton, Ohio, on December 19, 2006. They include portraits of Martha Washington, Abigail Adams and Dolley Madison. 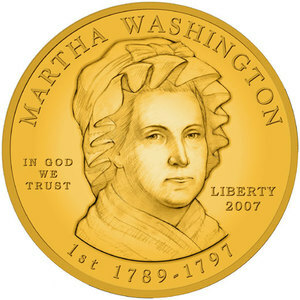 Since Thomas Jefferson's wife, Martha, died in 1782, 18 years before Jefferson was elected president, the third coin in the series carries a symbolic image of Liberty. 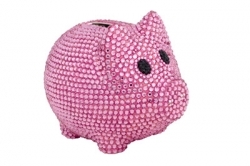 According to Karim Rashid, a piggy bank deserves more attention. "These ubiquitous objects need perpetual new ideas, new personalities and new character to be more animated," he says. "But in an abstract way, not as kitsch or literal redesign." 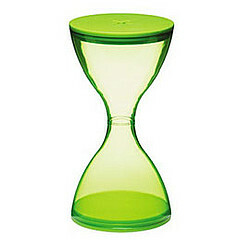 This hourglass-shaped bank, aptly named Time is Money, draws the important connection between the two valuable concepts. Much like the sands in an hourglass that measure time, the coins drop into the piggybank and build a tiny fortune when you practice a bit of patience. 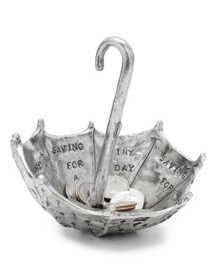 Save your pennies (and nickels, dimes, quarters, and keys) for a rainy day with this handmade pewter change bowl. Handmade by artist Tamara Hensick. "The deadweight loss of Christmas"
Waldfogel estimates that somewhere between 10 and 18 percent of holiday gifting becomes deadweight loss, resulting in a waste of billions of dollars each year. On average, a dollar that people spend for themselves creates nearly 20 percent more satisfaction than a dollar that someone else spends on them. 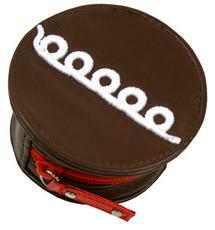 Put another way, gift-giving effectively discards 20 percent of the gift's price. So, of the nearly $100 billion spent on holiday gifts each year, one-fifth is effectively flushed down the toilet.